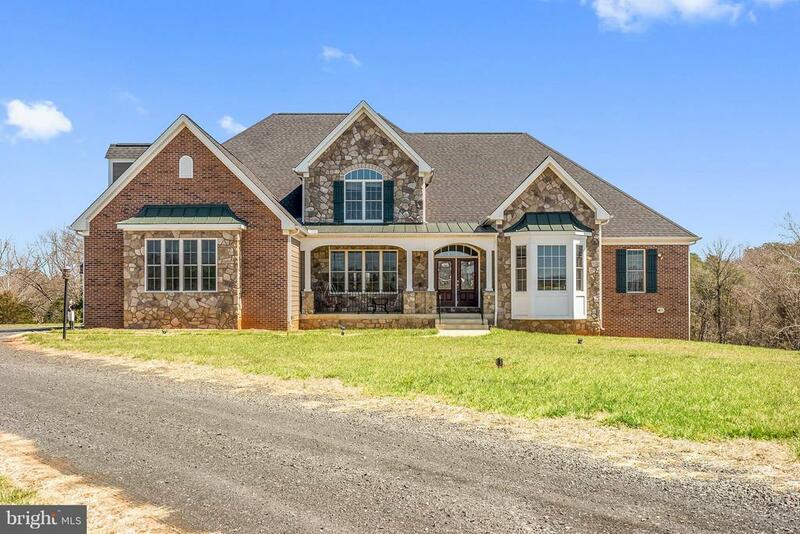 All Culpeper - VA homes currently listed for sale in Culpeper - VA as of 04/24/2019 are shown below. You can change the search criteria at any time by pressing the 'Change Search' button below. 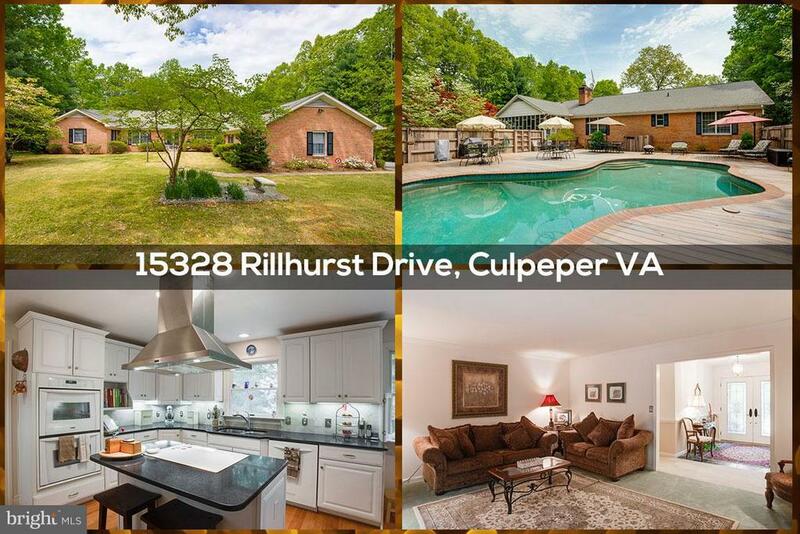 If you have any questions or you would like more information about any Culpeper - VA homes for sale or other Culpeper - VA real estate, please contact us and one of our knowledgeable Culpeper - VA REALTORS® would be pleased to assist you. "Zeuswyn Farm! 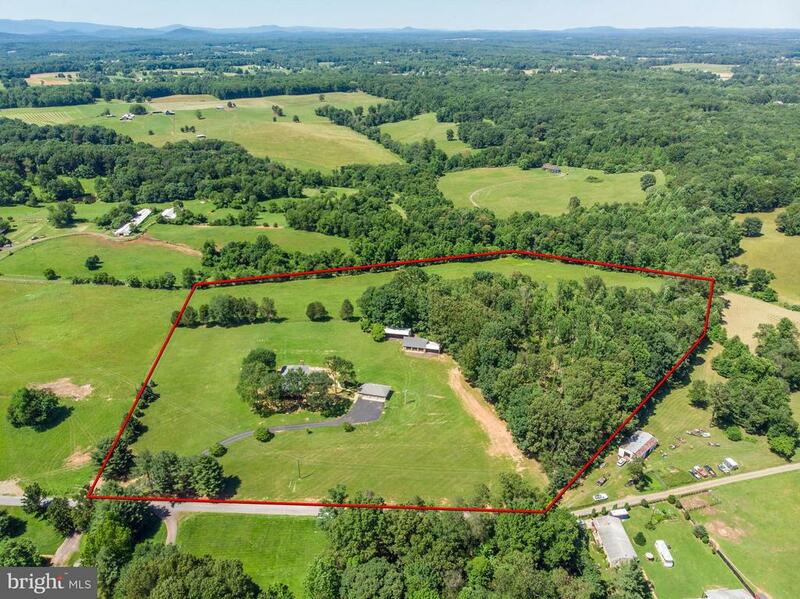 166 in-town acres of gorgeous bucolic farmland overlooking Lake Pelham with stunning views of the Blue Ridge! Farm boasts myriad opportunities for future projects - potential subdivision, commercial/mixed use, multi-family & more. Farm is bordered by Route 29 and Business 29/Madison Road and offers access to public utilities. Please contact LAs for additional information." 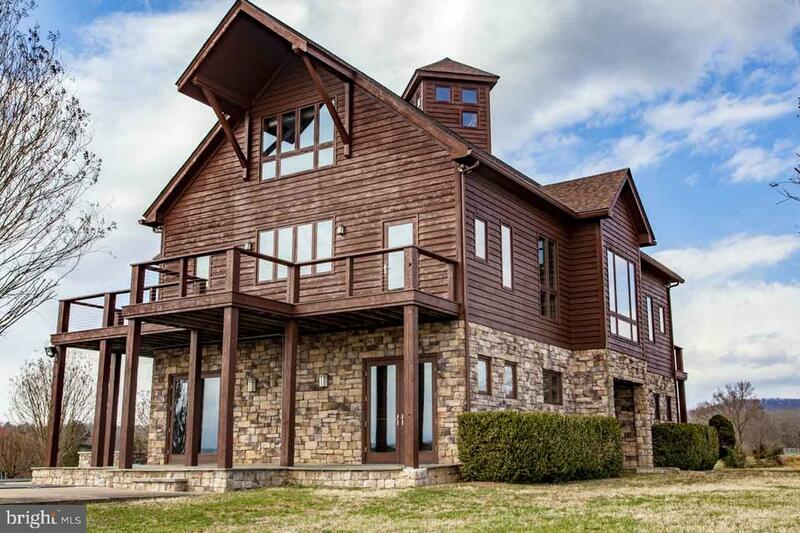 "Gorgeous 93+ acre, 21-stall horse farm! Indoor riding and outdoor paddocks, barns and sheds. Rent to horse trainers/boarders. Colonial home has 4 bedrooms all with en-suite full bathrooms. Wood floors throughout main and second level. Finished walk out basement with full bath. Large country kitchen with island and stainless steel appliances open to family room with wood burning fireplace and beamed ceilings. 6-car garage spaces. Guest house and large office with kitchenette. Paved circular driveway. 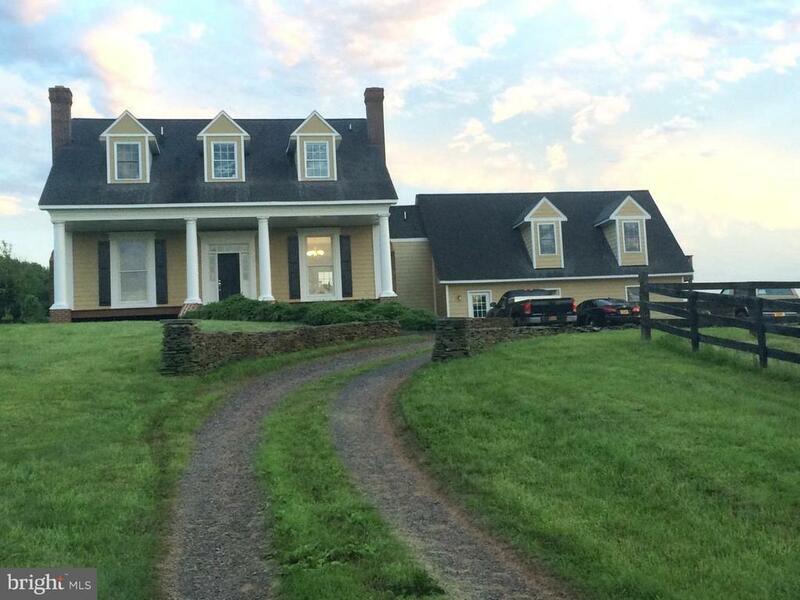 Excellent location just minutes to US 29 and close to downtown Culpeper. Truly a must see!" 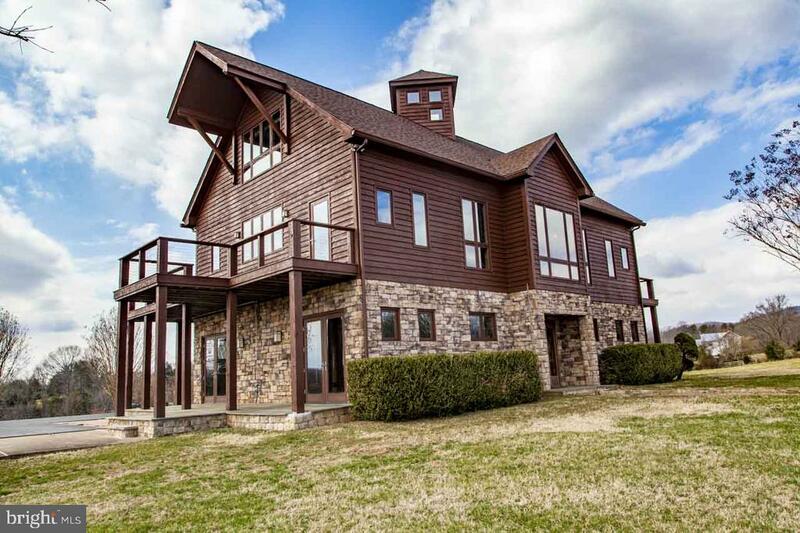 "Unique custom-built one of a kind house on 90+ acres. 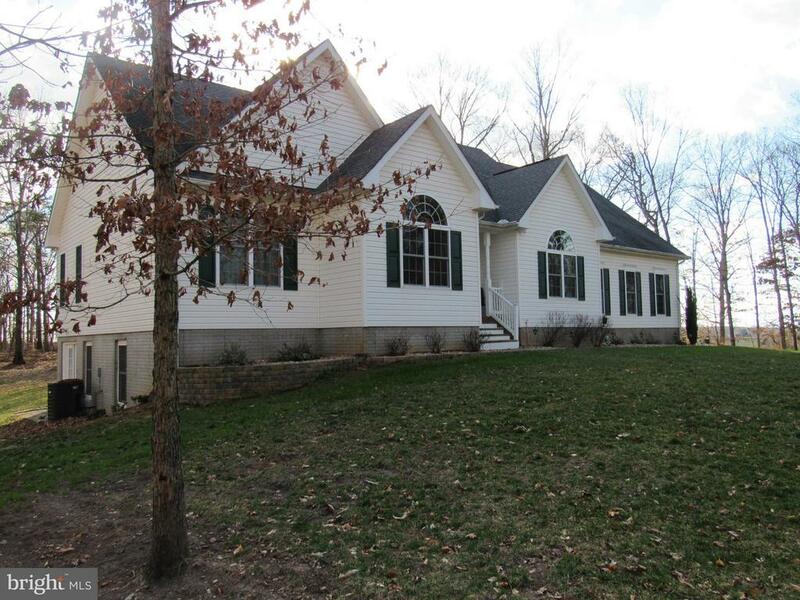 Huge in-ground pool with hot-tub and waterfall, and your own private pond for fishing, woods for hunting and/or hiking, and long frontage on Crooked Run. The 50+ acres of open fields are conducive to most anything agricultural: horses, cattle, sheep, vineyard; the possibilities are limited only by your imagination! 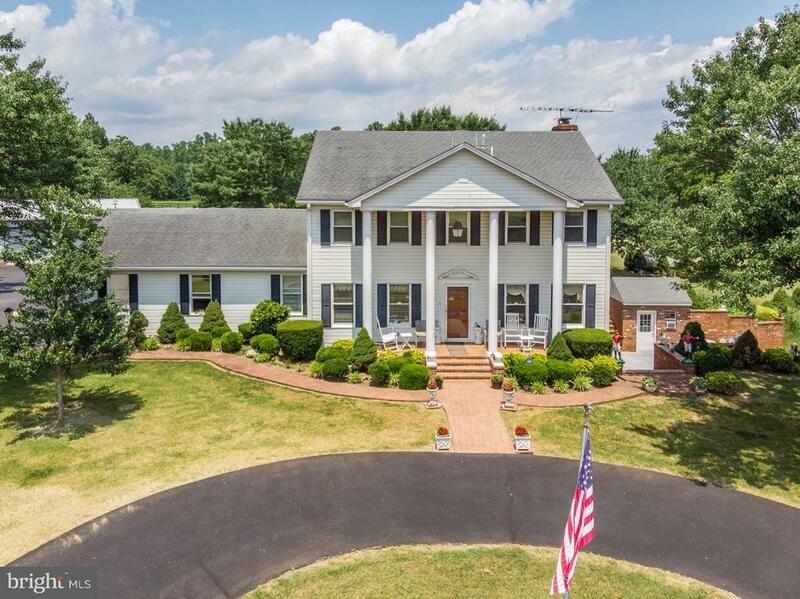 Located on a paved road 3 miles off Hwy29, adjoining the Culpeper County line, makes for a convenient commute either north or south. Adjacent 31 acres, tax map number 43-2A, with open fields and frontage on Leon Road is also available." 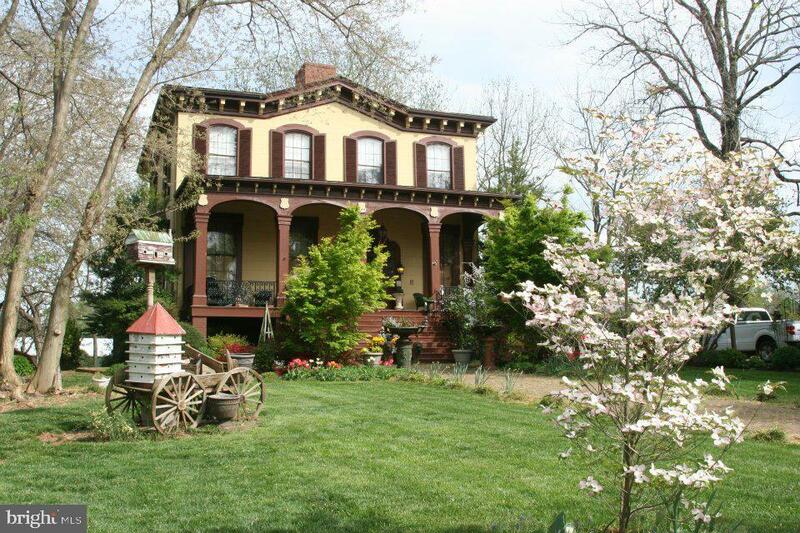 "Price Reduced Historic Hill Mansion one of Culpeper's most beautiful mansion, a stunning Italianate style home, offering 3 finished levels approx. 5,143 sq ft, 4 bedrooms, 3.5 baths, 9 fireplaces, original Heart Pine floors, a broad curving wood stair, 4 elaborate porches, patio, beautiful lush gardens. Two Car Garage, Garden House, Featured on Christmas Tour of Homes, Victorian Home Magazine and Walking Tours. National Historic Register 800004182"
"A Rare Find!! 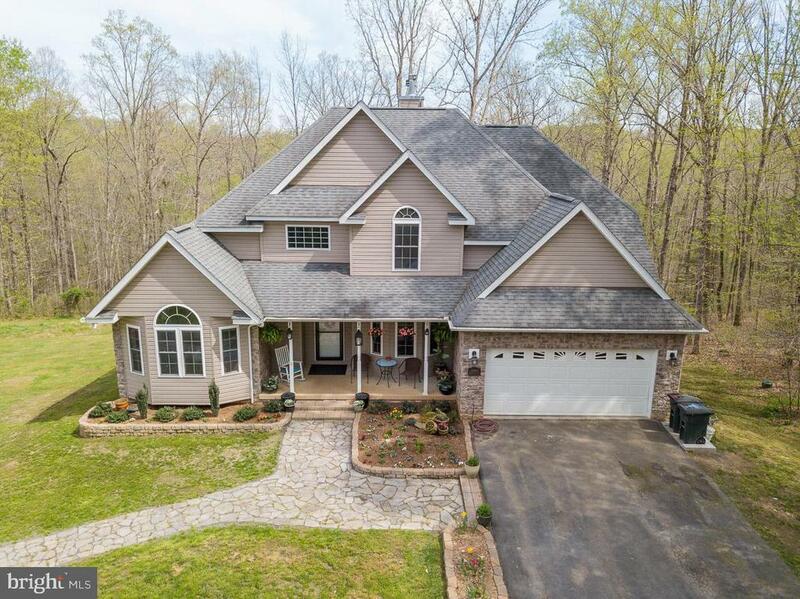 !Beautiful,Williamsburg -style all brick colonial on Mountain Run Lake! Lots of privacy but close to shopping,hospital,etc. Formal and informal living! Lovely Formal Living and dining rooms with dental crown molding, chair rail and picture frame wainscoting, wood floors, many windows. Fireplace in living room. Family room with crown molding and fireplace that opens to solarium and to family dining and kitchen. Kitchen with granite counters,custom cherry cabinets, gas cooking, pantry, large counter space ! 4 nice bedrooms all with wood floors,some with built-ins. Finished basement with large rec room,office full bath. rec room opens to covered patio and walkway down to inground pool. Lovely landscaping and wonderful lake and mountain views!" "WOW! 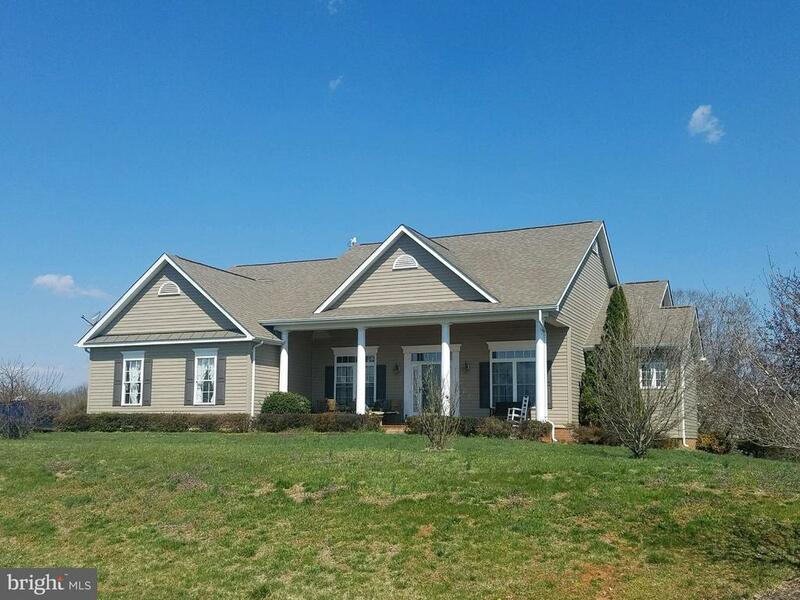 Fantastic Renovated and Modernized on 10+ Acres...Southern Living Award Winning Home Plan Updated and Upgraded while preserving the Custom Quality Features not found in most new homes today. Spacious 7,000 SF of Finished Luxury Living with Wide Plank Oak Floors, Solid Oak Doors, Incredible Granite, Subway Tile, Gas Gourmet Cooking, Spa Baths, 2 FP's and WB Stove...2nd Full Kitchen and more!" 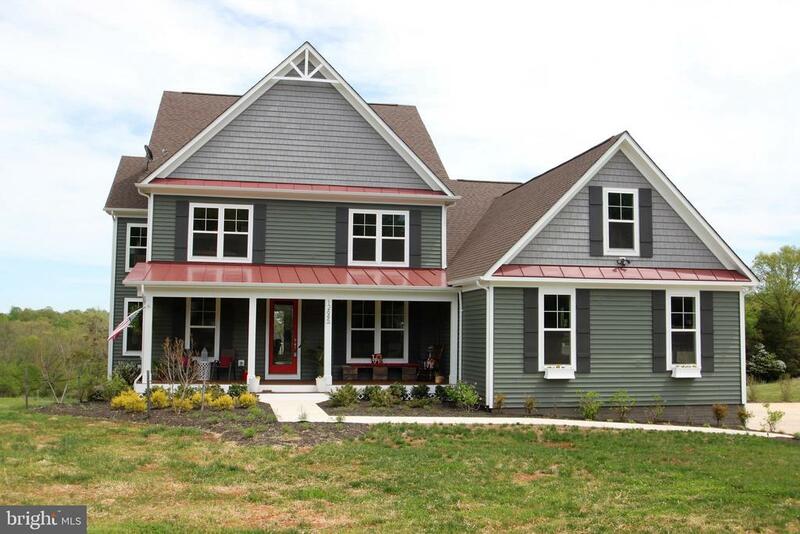 "Few homes in Culpeper boast this level of comfortable elegance and fine attention to detail! Part of a small equestrian community and situated on a lovely 9+ acre lot overlooking bucolic Mystic Hill Farm, this Graystone Homes one-of-a-kind custom cape boasts almost 6,500 sq/ft of magnificent space. Upon entering the gracious foyer, you'll realize you're somewhere special. Stone walls give way to beamed and vaulted ceilings and stone fireplaces. This home offers 5 over-sized bedrooms, 5.5 baths, massive gourmet kitchen, formal dining room, study, large family room, first floor owner's suite with large bath and walk-in closet with island. The second floor gives way to a second master and two more large bedrooms with jack-n-jill bath. The lower walk-out level provides an incredible amount of additional space - from the large rec and game room to the comfy den with wet bar and stone fireplace to another bedroom with full bath. The home transitions to the outside with a fantastic covered porch, complete with built in grill, fireplace and vaulted beamed ceiling. Property has a whole house generator, large machine shed with office, run in shed and site work has been done (water and electric run) for a barn. 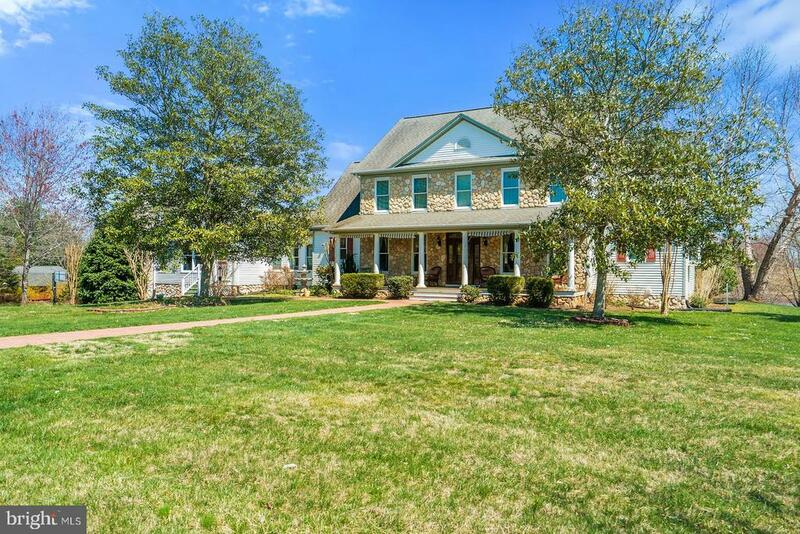 An incredible opportunity for the discerning horse enthusiast and all just a stones throw from major commuting routes and all Culpeper has to offer." "This property is stunning! Custom home with full finished 3 levels with an addition that is suitable for home office or in-law apartment. Beautiful large in-ground pool overlooking the pond. Fencing appropriate for livestock, 2 stall center aisle barn and tack room with room for 3rd stall. 5 run-in sheds, chicken coop, and large storage/garden shed." "Absolutely beautiful Cape Cod on 21.5 ac. w/ breathtaking water, pastoral & mountain views. Stunning front & rear porches, high ceilings, gorgeous custom made mahogany wood lined library. 3 stall barn with water & electric, fenced pasture, riding circle & paddock. In-Law suite w/ separate entrance. River frontage on Rapidan River. Fin. sq. footage & fenced acreage estimated. Come take a look!" "You'll never want to leave this stately home as you relax on the porch swing soaking in the Shenandoah Mtns. and Mountain Run Lake view. It's a home that most people dream about. 4 bedroom, 3.5 bath. Bonus room in basement. Hardwoods and tile through out. Many upgrades include the granite in the kitchen. Fantastic crown molding. House has many upgraded and quality features. 3 gas fire places. Bay window in Family room facing the mountain and lake view. Front porch wraps to the left side of the home to take advantage of the views. All this on 1.87 manicured lawn with extensive landscaping. 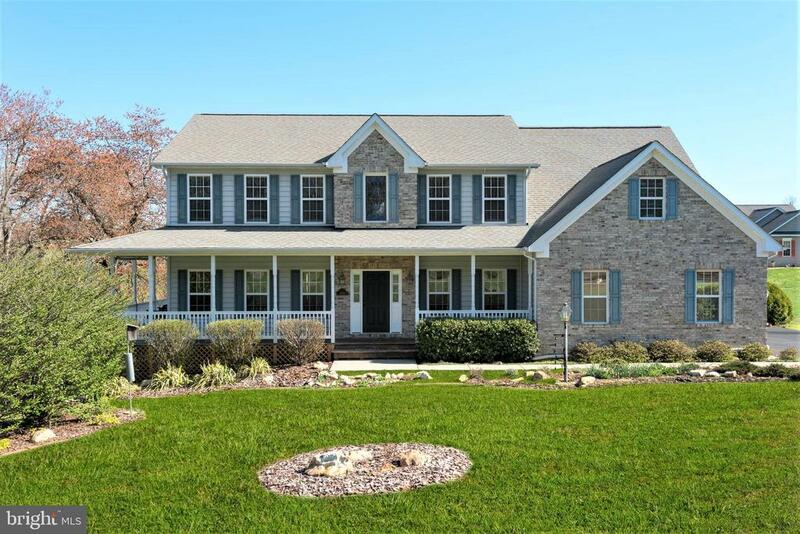 Owners take pride and it shows,"
"Well planned 2 story colonial offers a main level master bedroom, formal dining room, gourmet kitchen with large island and separate breakfast area, laundry/mud room just off the garage entry. Upper level offers 2 bedrooms, a full bath and bonus room that could be used as the 4th bedroom. 2 car garage and full unfinished basement complete this home." "Absolutely Stunning Contemporary Craftsman! Built in 2017, this incredible home offers 5 bedrooms, 4.5 baths and nearly 5000 sq/ft of beautifully finished space ... Gourmet kitchen with Shaker cabinets and massive granite island, huge open family room with custom tiled wall and fireplace, formal dining room, study, mudroom, huge master suite with tray ceiling, two walk-in closets and fantastic bath, princess suite, custom cove moldings on main level, hickory floors throughout main and upper levels, finished walk-out basement with rec room, den and bedroom, 3-car garage with tall ceilings, no maintenance rear deck and covered front porch, 8.5 +/- partially wooded lot with creek and so much more. A truly rare find in Culpeper and one not to be missed." 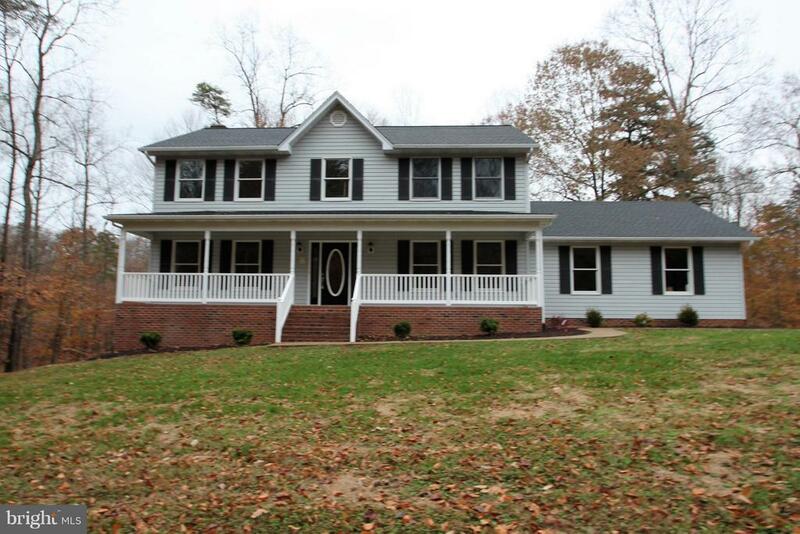 "Gorgeous Custom 5BR/3.5BA Contemporary Home nestled on 10+ private acres. Lots of charm and character throughout this home. Open floor plan with custom windows and lots of trim work. Main level master suite w/ lots of closet space and private luxury bath. Great room w/ vaulted ceiling, custom trim & fireplace. Well appointed country kitchen w/ granite counters, stainless appliances, large island, large breakfast nook & formal dining room. Large main level laundry room w/ storage. Spacious upper level bedrooms & full bath. Full finished lower level w/ Media room, craft room, game room, bedroom & full bath. Oversized storage area. Large rear deck for enjoying summer cookouts. Lots of privacy to enjoy your fire pit and patio area. Bring your chickens and goats. Lots of nature and wildlife. Lots of privacy but minutes to downtown. Comcast available." 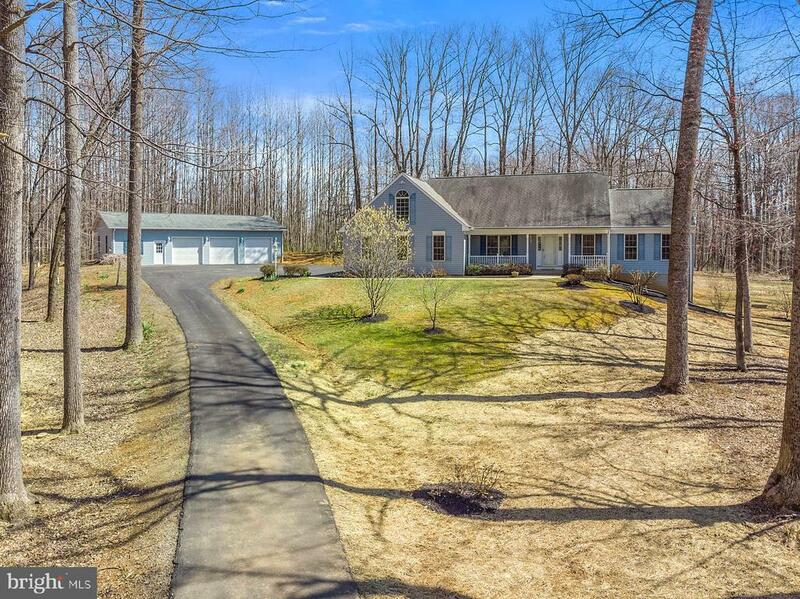 "Beautiful home on over 20 acres in a lovely country setting, close to rte 3 for easy commute. The office has a closet and could be used as a 4th bedroom, there is a large den on the upper level, full unfinished walk out basement with a rough in for a full and a separate half bath. Bring the cook because the kitchen has double wall ovens and a free standing gas range, lots of cabinet and counter space, largemaster There are 2 rough ins for baths in the unfinished basement. There is a large finished bonus room on 3rd level of the home. There is a shed and a landscaped yard. When the trees are not in bloom there is a beautiful mountain view! Please, shown by appointment, agents must accompany to property. Home has 1 year HSA home warranty for buyers, Please do not enter driveway without an appointment." "A RECIPE FOR RELAXATION The living is easy in this impressive, generously proportioned ranch style home! Boundless outdoor space in the backyard offers enough breathing space for the biggest family gathering. What better way to start the day than a dip in the fabulous shimmering blue swimming pool, followed by a leisurely breakfast in the poolside patio! You're not dreaming! Welcome Home!!" 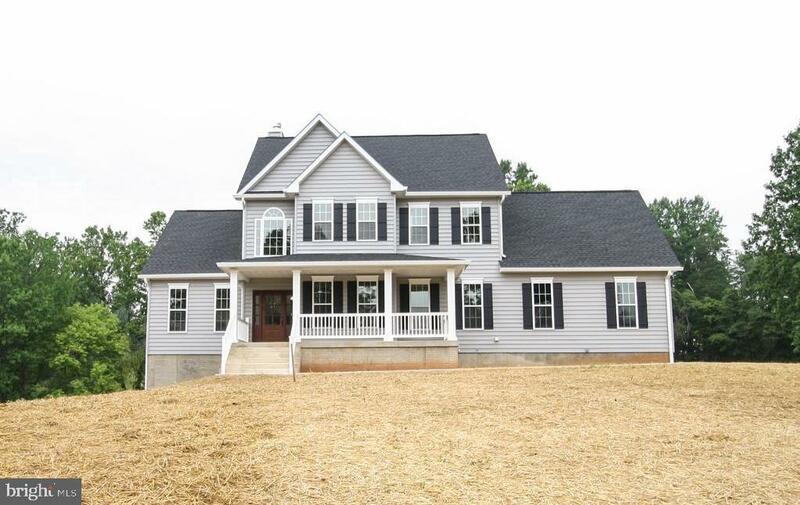 "3+ ACRE HOMESITES, GRAND TWO-STORY FOYER, DUAL FOYER STAIRCASE, SPACIOUS KITCHEN WITH ISLAND, GRANITE COUNTER-TOPS, SIDE LOAD 2-CAR GARAGE, LAUNDRY ON BEDROOM LEVEL, TWO-STORY FAMILY ROOM. OPTIONAL SIDE SUN ROOM AVAILABLE. PHOTOS MAY INCLUDE OPTIONS." "MUST DEAL DIRECTLY WITH OWNER FOR INFORMATION & ACCESS. MICHELLE DIRIENZO-540-937-3240-HOME OR CELL: 813-751-4209. EMAIL mldsmrbayern@gmail.com. The best of Both Worlds! 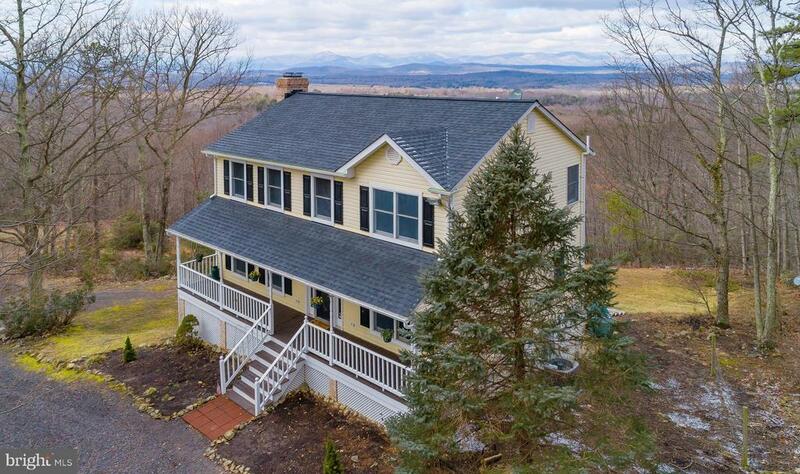 Breathtaking Blue Ridge Mountain 180 degree views from this beautifully renovated 10+ acre home with 2360 sf living space, 2 car detached garage, and total peace & tranquility with all of today's modern conveniences! Home includes all new cabinetry and granite counter-tops in Kitchen & Baths (Kitchen cabinets are soft close). Kitchen also includes new stainless steel appliances, subway tile back splash and eat-up bar. Breakfast Nook off Kitchen, with French Doors to deck overlooking mountains. Cozy wood-burning fireplace on main level, with full dining room, half bath, and gorgeous hardwood floors, all new light fixtures, and beautiful double-hung Andersen windows throughout the home. Master bedroom includes wood beams in ceiling, hardwood flooring, a spacious closet, and barn doors leading to a luxurious master bath with separate soaking tub, and alluring tiled shower. Additional rooms include new carpeting, and spacious closets with lighting. Basement includes bonus room for office, exercise, storage, or additional bedroom, as well full bathroom, new LG Sensor Washer/Dryer, Butlers Pantry, wood-burning stove, and French Doors to spacious patio with porch swing. 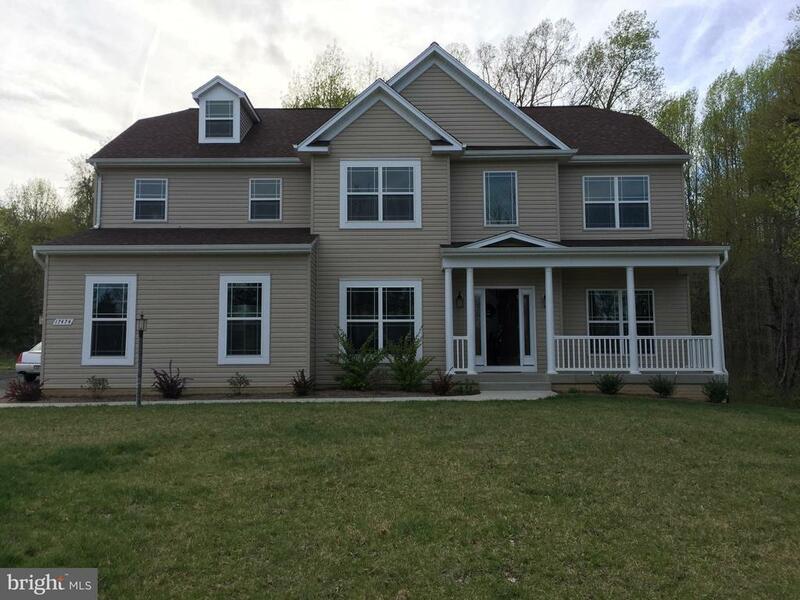 This incredible home also includes new toilets & bathroom hardware in all bathrooms, new Roof and Seamless Gutters, new Septic Tank & Drain Field, new Heat Pump and Hot Water Heater. Tremendous value in this home where the sun rises in the front, sets in the back, and the sunsets are incredible. Home has recently been appraised by certified appraiser Truly a must see!" "SELLER SAYS MAKE AN OFFER, HE WILL CONSIDER ALL OFFERS. *AS YOU DRIVE DOWN THE TREE LINED DRIVE YOU COME TO THIS HANDSOME HOME WHICH SITS PERFECTLY ON IT'S 3 ACRE LOT OFFERING PRIVACY WITH OUT BEING ISOLATED. JUST FRESHLY PAINTED AND READY FOR THE NEW OWNER. *ENTER THIS LARGE HOME THROUGH THE GRACEFUL FOYER YOU DISCOVER THIS 5 BEDROOM AND 4.5 BATH HOME. *MAIN FLOOR: FEATURES 3 BR'S AND 2 FULL BA'S, FORMAL DINING RM WITH HARDWOOD FLOORS, CHAIR RAIL/ SHADOW BOX DETAIL ON WALLS, BUILT INS AND MIRRORED WALL. *LARGE GREAT ROOM WITH GAS FIREPLACE, HARDWOOD FLOORS CONVENIENTLY LOCATED OFF THE KITCHEN AND BREAKFAST AREA. *EFFICIENTLY DESIGNED KITCHEN WITH EATING COUNTER, PANTRY AND HARDWOOD FLOORS, *BREAKFAST AREA WITH HARDWOOD FLOORS LEADS TO A DELIGHTFUL SCREENED PORCH TO ENJOY THE PRIVACY OF THE BACK YARD. FROM THERE YOU WANDER TO A LARGE DECK WITH FIRE PIT. DECK STAIRS LEAD TO THE BACK YARD. LOVELY SLATE PATIO WHICH CAN BE ACCESSED FROM THE REAR WALK OUT OUT FINISHED BASEMENT. *MASTER BR SUITE WITH TRAY CEILING IS SITUATED ON ONE SIDE OF THE HOME (SPLIT BEDROOM PLAN) FROM OTHER BR'S ON THIS FLOOR OFFERS LARGE WIC AND AN ADDITIONAL CLOSET IN THE SITTING AREA IN MASTER BEDROOM. MBR BATH COMPLETE WITH JETTED TUB AND SEPARATE SHOWER. *BONUS SUITE WITH FULL BATH OVER THE 3 CAR GARAGE OFFERS EXTRA STORAGE AND IS A PRIVATE GET AWAY FOR GUESTS OR TEENAGERS. *LOWER LEVEL: LARGE REC ROOM WITH SPACE FOR A POOL TABLE AND SEATING AREA YOU CAN HAVE A VERY LARGE FLAT SCREENED TV. ADDITIONAL FEATURES; WET BAR WITH WINE COOLER AND ICE MAKER, SEPARATE WINE CLOSET, LARGE WALK IN CLOSET FOR STORAGE, FULL BATH , 5TH BEDROOM AND OFFICE. LARGE UTILITY ROOM. LOADS OF STORAGE. WINDOWS ACROSS THE ENTIRE BACK OF HOME ALLOWS FOR LOTS OF NATURAL LIGHT. *EXTERIOR: ROOF IS ARCHITECTURAL SHINGLES, BEADED SIDING, CIRCULAR PAVED DRIVE. *HEAT PUMP WITH GAS PROPANE BACK-UP HEAT. *COME AND VISIT WE THINK YOU WILL BE PLEASED YOU DID." "Back on the Market - Purchaser's Sale of Home Contingency Couldn't be Satisfied. Gorgeous Stunning Country Retreat! 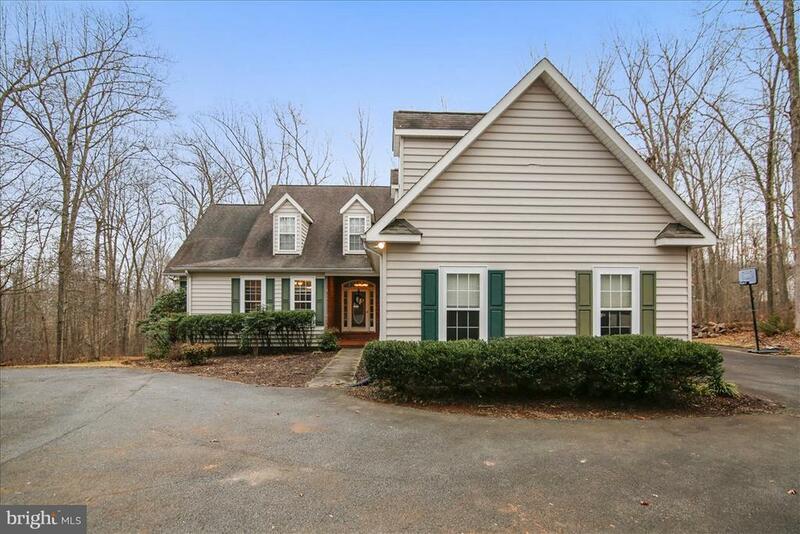 Tucked away, but close to everything, this property boasts a fantastic remodeled 3 BR/3.5 BA +3,500 sq/ft colonial overlooking a serene 2+ acre pond on over 18 private wooded acres. Home offers 3 fin levels, 2 car attached & a 3 car det. garage, covered country front porch, large rear deck w/ water views, great floor plan and much more - at a an incredible price!" "Stunning one of a kind one level home has something for everyone! Gorgeous wood floors through-out, vaulted ceilings, loads of light, freshly painted, laundry on main level, split bedroom design, gas fireplace, luxury master bath, separate dining room + great room - open floor plan is perfect for entertaining! Huge full basement is practically finished and had large windows, walk-out and rough-in ! 2 car attached garage + HUGE detached 3 car garage/workshop which includes a man cave tv room:) You will be heaven here on 5.7 acres! Must see! NO HOA!" "One level living at its finest! Formal living and dining rooms, hardwood floors, crown and chair molding, gorgeous columns through-out, 42 cherry cabinets, granite countertops, upgraded appliances, recessed lighting, ceramic surround jacuzzi tub, upgraded light fixtures, huge covered front porch with columns, deck, patio, gas fireplace, 2 car attached garage and 9ft ceilings. Finished basement with full bath and walkout to back yard." "A RECIPE FOR RELAXATION! The living is easy in this impressive, generously proportioned ranch style home! Boundless outdoor space in the backyard offers enough breathing space for the biggest family gathering. Enjoy all that nature has to offer as this property includes 11+ acres! What better way to start the day than a dip in the fabulous shimmering blue swimming pool, followed by a leisurely breakfast on the poolside deck! You're not dreaming! Welcome Home! 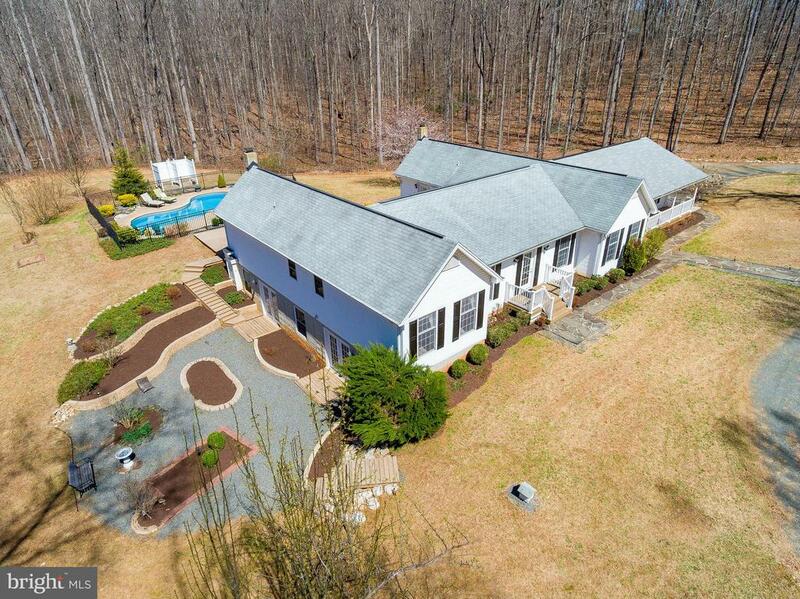 Notable qualities: *Two car side load garage*11+ acres*Full finished basement*In-ground swimming pool*Outdoor shower*Main level master bedroom and secondary bedrooms*Wood stoves*Sauna*Wine cellar*Four bedrooms, three full baths, two half baths"
"Former model home! Laundry bedroom level. Gourmet kitchen..."